Priory Park is 80 acres of 18th century parkland with extensive mature woodland, and large open spaces, formally part of the Rowley Estate. Across the parkland you can still see medieval ridge and furrow land waves created by several centuries of feudal communal farming. In the 1700’s, the land that is now Priory Park, was used for farming and run by an eccentric and miserly attorney, William King. It was his daughter who married Owsley Rowley and inheriting a fortune of £30,000 in 1814. 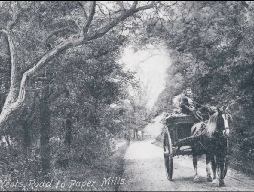 He acquired Priory Farm in the 1790’s, creating a park for his new house at the top of the hill and planting an avenue of trees along the Priory Hill approach road. This house was sadly demolished in the early 60’s. An underground ice-house was dug in the park just west of the house.’ A local belief is that Priory Hill was connected to the Priory (Waitrose Car Park Site) by a tunnel. The tunnel entrance to the Ice-House helped to perpetuate the myth. Today the park is used for various activities such as picnics, dog walking as well as orienteering, sponsored runs and children’s holiday activity clubs in the summer. It includes 5 football pitches, several mini soccer pitches, and a pavilion with changing rooms and a refreshment area. The park is situated off Huntingdon Road and Priory Hill and has parking facilities for approximately 40 cars. 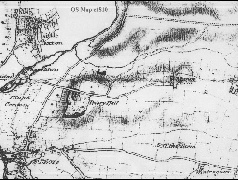 Owsley Rowley (1755-1824) acquired Priory Farm 1790’s, creating a park for his new house (demolished in the early 60’s) at the top of the hill and planting an avenue of trees along the Priory Hill approach road. 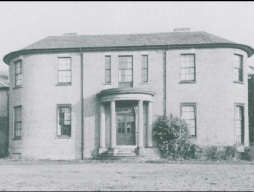 Priory Hill House (demolished in the early 60’s for town development and private housing). 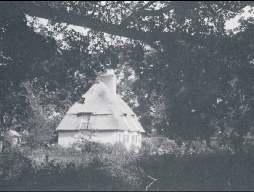 Pair of gamekeeper’s thatched cottages at top Priory Hill built c 1890 demolished c1950’s. Priory Hill, view looking down hill towards modern roundabouts.